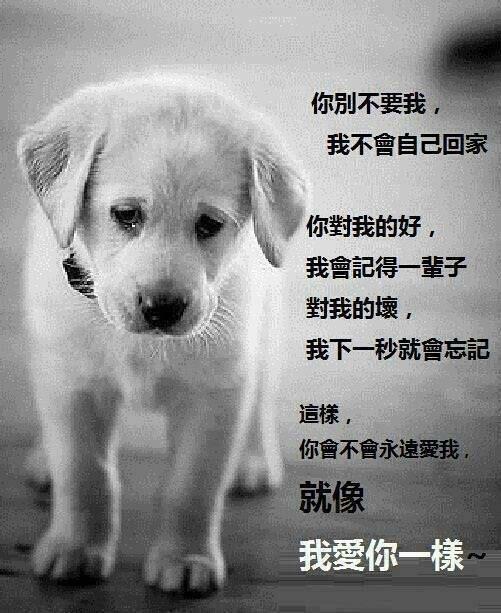 Please don’t abandon me, I don’t know my way home. The goodness that you have shown me, I will remember for life. The bad things you did to me, I have forgotten them the next second. This way, will you love me forever, Just like how I love you forever? Dear people, please do NOT buy/adopt a pet if you CAN’T take care of it for a LIFETIME…. created. I’ve subscribed to your RSS which should do! Have a great day and plz excuse my poor english!